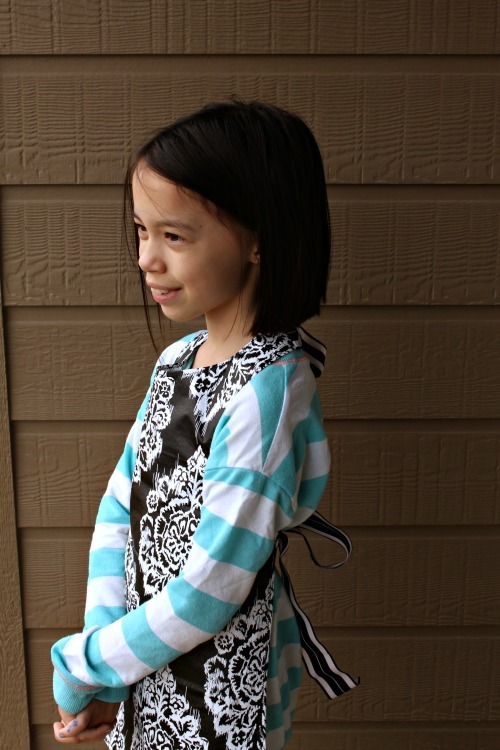 This cute, easy-sew waterproof art smock took less than an hour from beginning to end, and it’s completely adjustable so it will fit your child perfectly. 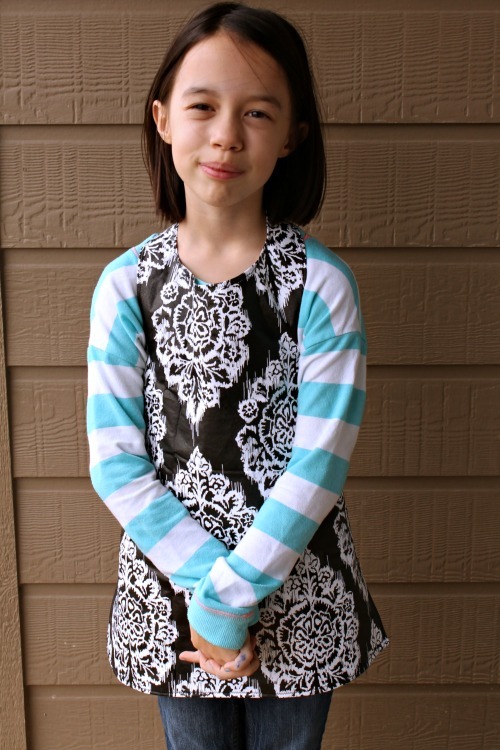 There is no pattern to print – just use one of your child’s tank tops for sizing! I used a remnant of fabric that I found in the clearance rack at my favorite hobby store. It’s flannel backed vinyl which makes this smock perfectly water resistant and great for painting projects. It’s super cute while keeping her clothes clean and safe from spills. 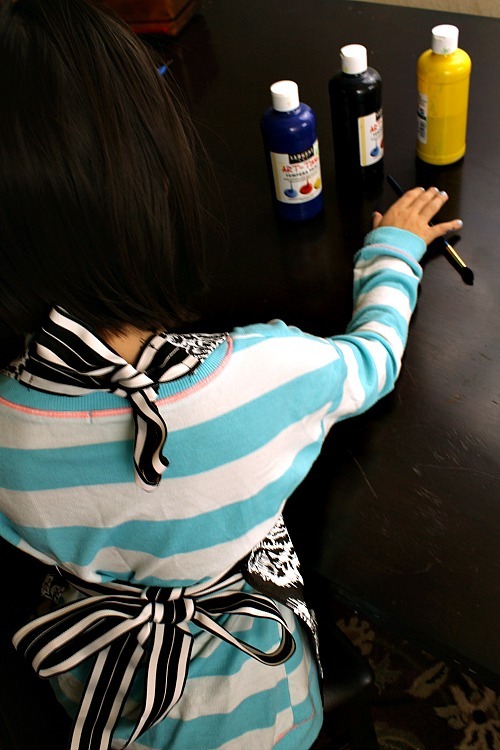 Money Saving Tip: Use an old vinyl tablecloth to create several smocks for all the kids. 1. Cut the ribbon into two 12-inch pieces and two 24-inch pieces. 2. 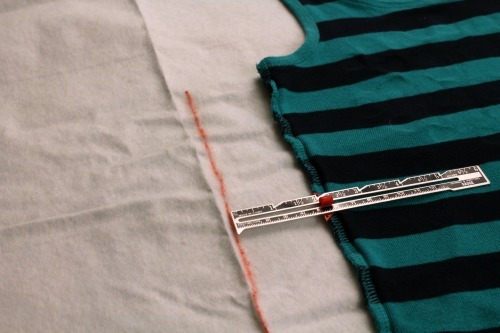 On the flannel side of your fabric, trace out the pattern of the tank top you’re using (or trace onto the front if you want to center the pattern). Add 1 inch to the arm opening area and 2 inches all around the rest of the tank top. 3. 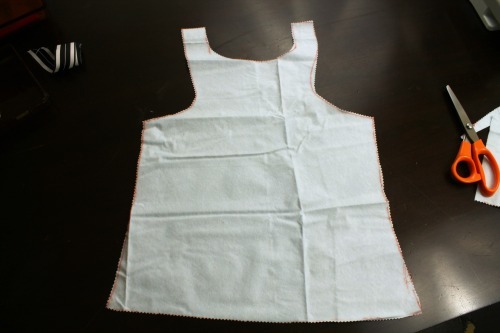 Cut out the fabric according to your outline. 4. Hem the edges. 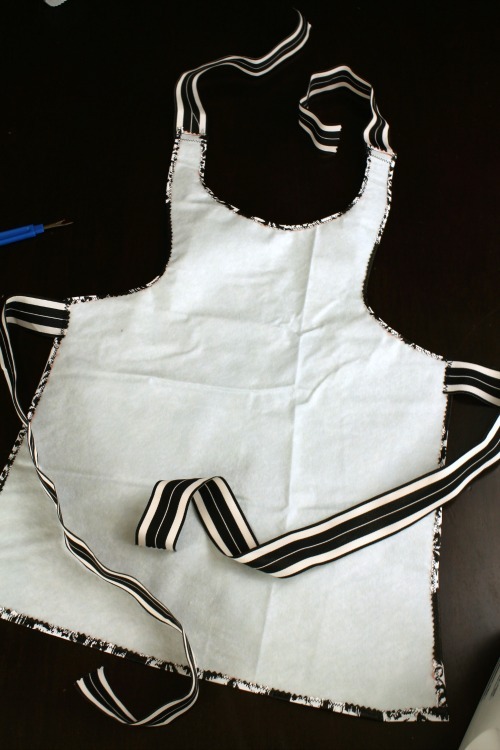 Starting from the top of one shoulder strap and using a zigzag stitch, sew a ¼ inch hem around the arm area and down the side. 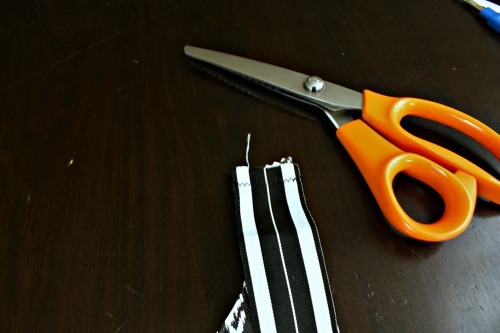 Sew the same hem from the shoulder down on the other side. 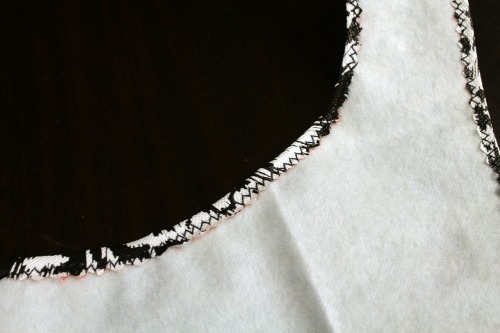 Sew another hem along the neckline and then also along the bottom hem. Now all edges have been finished except the very top of the shoulders. 5. Attach the 12-inch ribbon. Pin the right side of the 12-inch ribbon to the right side of the smock. 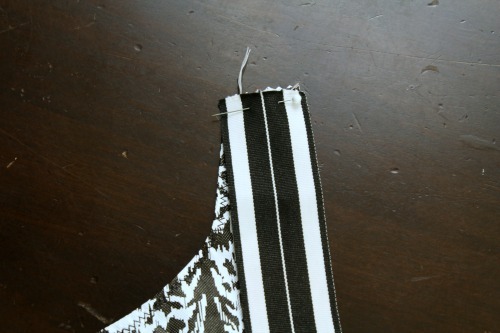 Then sew a zigzag stitch ¼ inch from the edge to secure the ribbon. 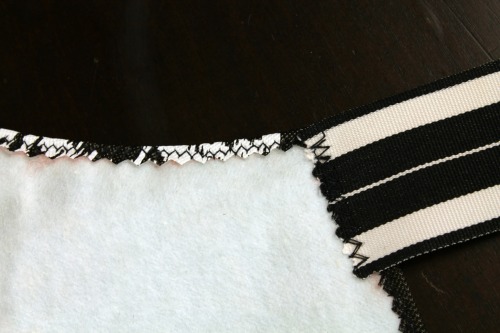 Now turn up the ribbon and sew a straight stitch ⅛ inch from the edge of the shoulder. This is a simple way to finish the shoulders so that only finished edges are showing. 6. Attach the 24-inch ribbon. 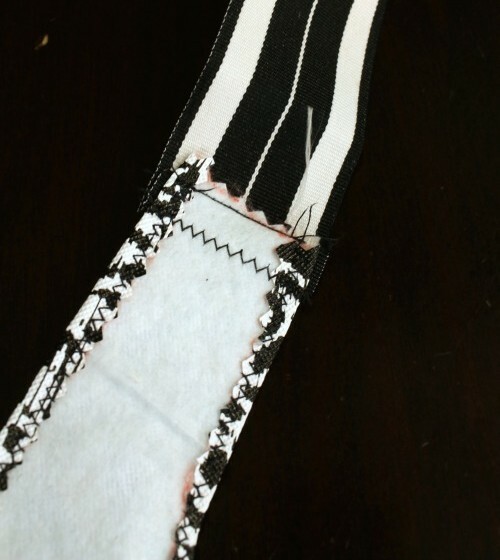 Pin the right side of the 24-inch ribbon to the top of the wrong side of the smock where the arm area begins. (The unfinished ribbon edge should be on the back of the smock.) 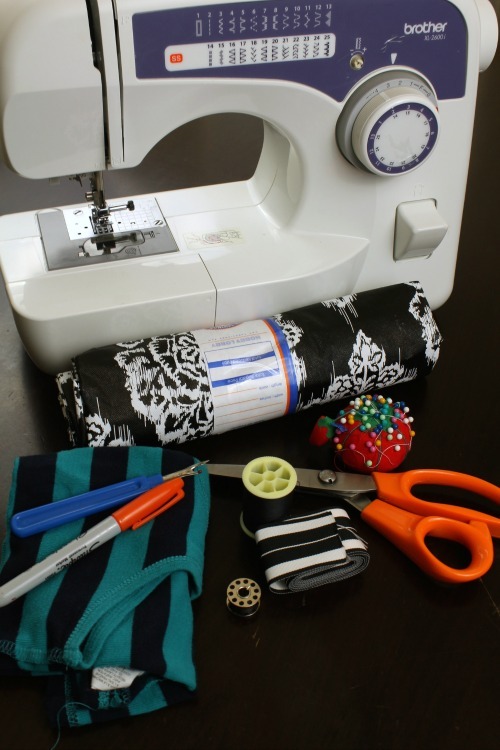 Attach the ribbon to the smock with a zigzag stitch. Repeat to attach the final piece of ribbon to the other side of the smock. 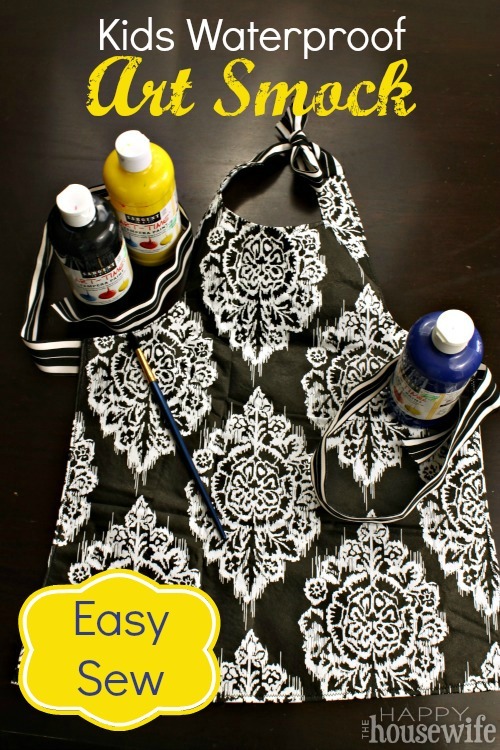 I really like this smock and it was very simple to put together. The only thing I would change next time would probably be to trace out the pattern onto the front of the fabric. That’s because this print is so cute and I would much rather have it centered than off to the side like it turned out. Love this! Using a cute enough fabric would definitely encourage the kids to wear it, and then I can be relieved because they’re not getting stuff on their clothes. And it seems like you could definitely adjust this to adult sizes too! Thanks for sharing this tutorial!